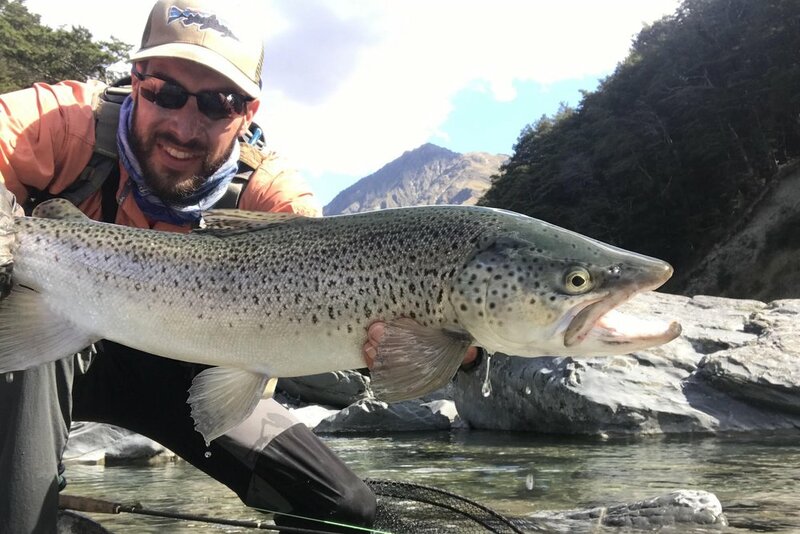 From Ranch Style relaxation, to backcountry hike-in secluded locations, to drift boat floats... we’ve partnered with leading industry guides to provide you with the best fly fishing trip of your life. Every dollar we take in helps fund the construction of new Aquaponics Farms around the world which prevent kids from entering the world of human trafficking. Enjoy a half day on the North Umpqua with the experienced Ned Bowler as he unlocks some of the great mysteries of the famed Umpqua. LLC NedVentures. 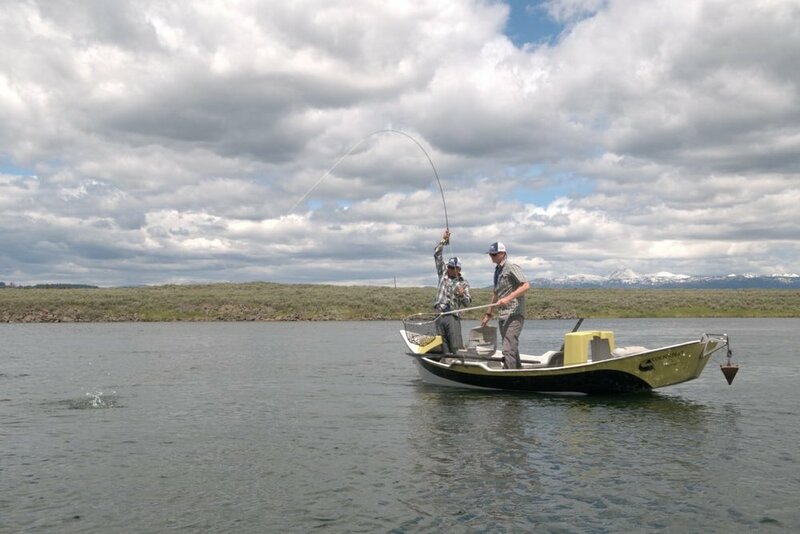 A full day of guided drift boat fishing within the scenic Kenai National Wildlife Refuge. Enjoy a full day of dry fly top water action during the Deschutes Salmonfly Hatch! 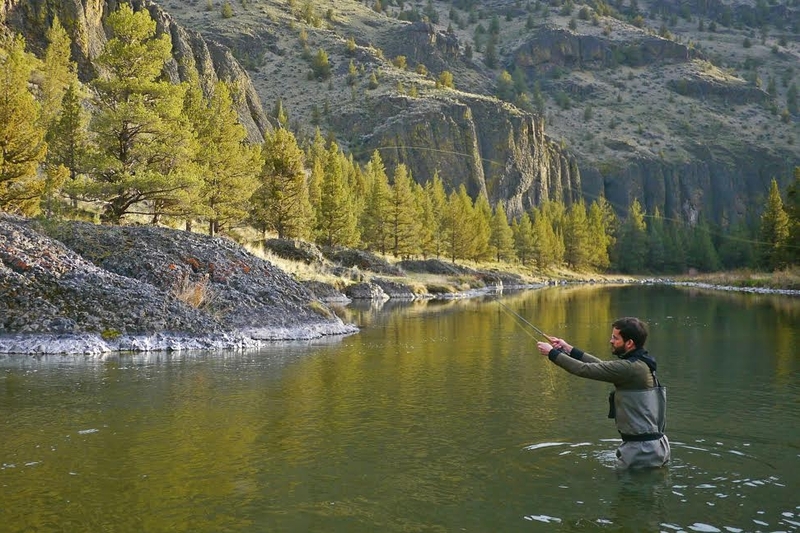 Accompanied by tribal guide Matt Mendes, experience the Deschutes river from the tribal side. 1 Day for 4 anglers via pickup truck or 1 day for 3 anglers via drift boat access. Two day guided fly fishing trip in Louisiana for Redfish and other species with Orvis-endorsed guide Captain Bailey Short. 6 luxurious days of rafting and fishing in Sun Valley, Idaho. Located on the world-famous blue ribbon Middle Fork Snake River, you will enjoy the finest wining and dining while surrounded by the beautiful wilderness. By the time you arrive at camp from each adventurous day on the river, a six man tent (for two) will be awaiting you along with hot showers, wine, and comfortable beds. Enjoy world-class fishing and rafting. Take advantage of the natural wonders around you such as hot springs, waterfalls, wildlife, and ancient Indian pictographs. Nestled on the banks of the Rogue River, this is an experience designed for those who are looking to escape into serenity, share good food and company, and retire each evening into warmth, relaxation, and comfort. 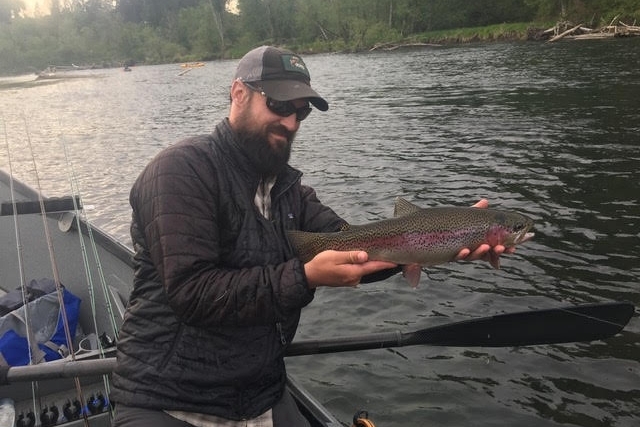 Located on one of the best fishing rivers in Southern Oregon, you’ll have the opportunity to catch chrome Steelhead while they’re still saltwater charged and covered in sea lice on your guided fly fishing trip. The Tu Tu Tun Lodge package is where epic fishing and luxurious lodging meet. Includes breakfast and dinner. Enjoy a half day guided fishing trip on the Crooked River with Paul Snowbeck, the manager of Fin and Fire. All gear (including flies) included. Trip date agreed upon by both parties. One or two anglers. Enjoy an all-inclusive stay for two at the beautiful lodge nestled in range by twenty-five sections of three blue ribbon fisheries. During three full days of guided fly fishing, catch what you’ve been missing on the South Fork, Snake, Teton River, and Henry’s Fork. Fish Idaho's famous Clearwater River with floating lines and traditional flies. Season August 10th through December 10th. Will be a mutually agreed upon date. One or two anglers. Half or full day kayak fishing float trip on the Little Red River, home of the former world record Brown Trout. Fish on purpose with guide Josiah Pleasant. Embrace the rhythms of a hidden stretch of shoals, eddies and pools via kayak and spot & stalk fishing. The Little Red is a tailwater that can produce epic days various times of the year. November is the best time to book this trip. Scheduling subject to availability and conditions. One full day of guided float trip on the Rogue River with Alex Rachowicz of Rogue Valley Anglers. One or two anglers. Mutually agreed upon date July through November. One full day of guided float trip on the North Umpqua with guide Logan Johnson of Rogue Valley Anglers. One or two anglers. Mutually agreed upon date from January to March. Guided fly fishing for Shad in June on the Willamette River near Oregon City. This fishing is a blast! The shad are 1-6 lbs, pull HARD and are often called the poor man’s Tarpon. With most years seeing Shad run sizes in the millions, the action is usually fast and furious! A great time for the fly pro or a brand new beginner! Kids over 12 will love this! Trips are 4 hours in the jet boat. 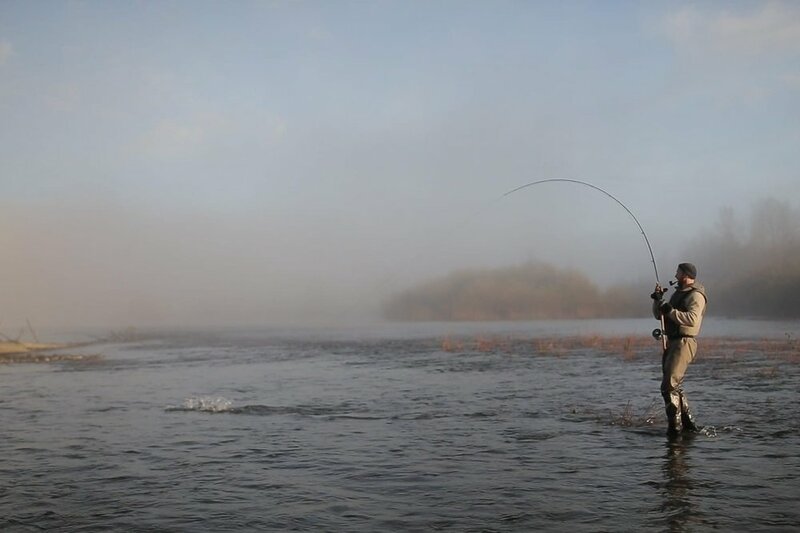 Rods, flies and gear are provided. With perfect water for the swung fly, chrome fish arriving daily and a mountain view, the “Clack” is the perfect choice for the spey rod angler. Variety and options abound on the Clackamas. And, with the speed and versatility of Rob’s jet boat, he will help you cover many different sections of the river, receive a hot riverside meal and make the most of your time on the water. 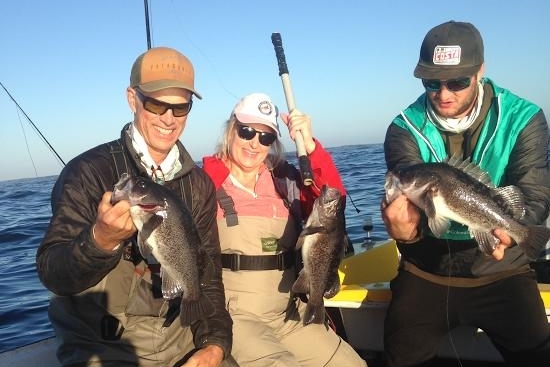 One dory trip with Pacific City Fly Fishing! If you haven't launched a dory boat from the beach in Pacific City, this is a trip you won't want to miss! The fishing is very productive and the ride is exciting! Trip can be scheduled for the last half of March through September. One full day of guided trout fishing on Oregon's McKenzie River or Willamette River with Josh Moody. This trip is for two anglers, all gear will be provided. Trip offered from March-June. A one day Deschutes trip with Chris O'Donnell. Trout or steelhead.